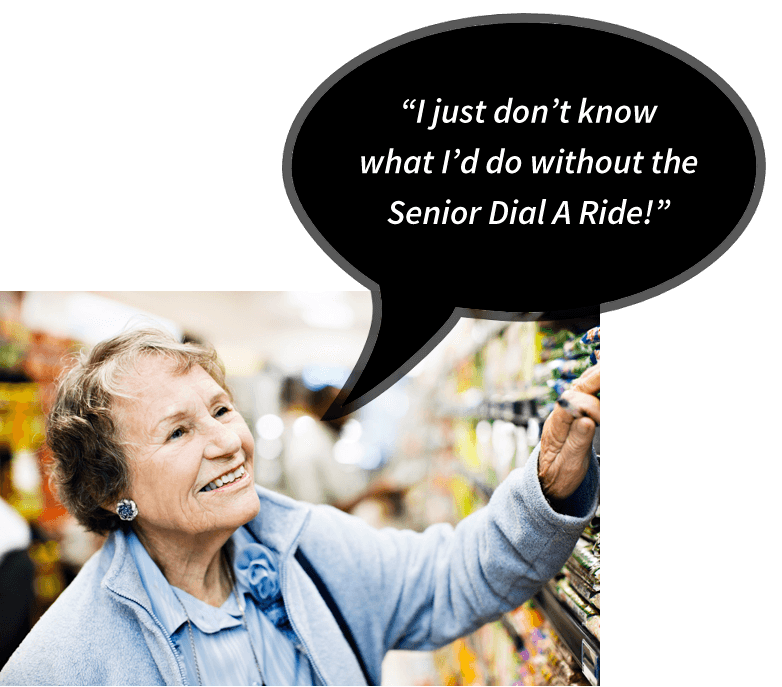 Senior Dial-A-Ride | Smooth Inc. Your Measure A Dollars at Work! The Senior Dial A Ride provides origin-to-destination transportation for seniors (60 years and over) in Santa Maria and Orcutt. Our wheelchair accessible vans are available to take you shopping, going to the beauty parlor, medical appointments, to visit a friend, or for any reason and anywhere in the Santa Maria/Orcutt areas. "How Do I Schedule a Ride?" Simply call SMOOTH at 922-8476 during business hours: Monday through Friday, 8:00am – 5:00pm. Please call with as much advance notice as possible. One week or more in advance is a good idea. Thanks to County Measure A tax dollars, generous donations, and local grants, the fare for the Senior Dial A Ride is $2 per trip ($4 per round trip). Our drivers do not carry change, so please have exact change ready. How Much Time Will I Have to Wait For My Ride? Our dispatchers will do everything possible to schedule as little wait time as possible. With as many seniors that we are serving, you may be scheduled 15-20 minutes earlier or later than you had hoped. What If I Don't Know When I'll Be Done? Simply let our dispatchers know when you schedule your trip. If scheduled as a “Will Call Return”, you will just give SMOOTH a call after your appointment, and we’ll send a driver for you. This may take more time, but we’ll make every attempt to pick you up as soon as possible. Will The Driver Help Me With My Bags? Our drivers are unfortunately not able to help with passenger bags. You should shop for as many bags as you can safely carry and take into your home. If you have someone that can help you, Ride Along Aides RIDE FOR FREE from your home. Any other questions, give us a call!